April Fools’ Day is this weekend, which means by end of day Friday the internet will be flooded with countless corporate “pranks” so joylessly market-tested that half the time they don’t even register as jokes. If these desperate attempts at social media engagement are subtle or bizarre enough to grab your attention, you’ll likely stop for a moment and think, “Huh, weird,” before continuing to scroll through your feed. It’s a lot of fun. To save you some time, here’s one corporate gag you can write off before the weekend even starts. 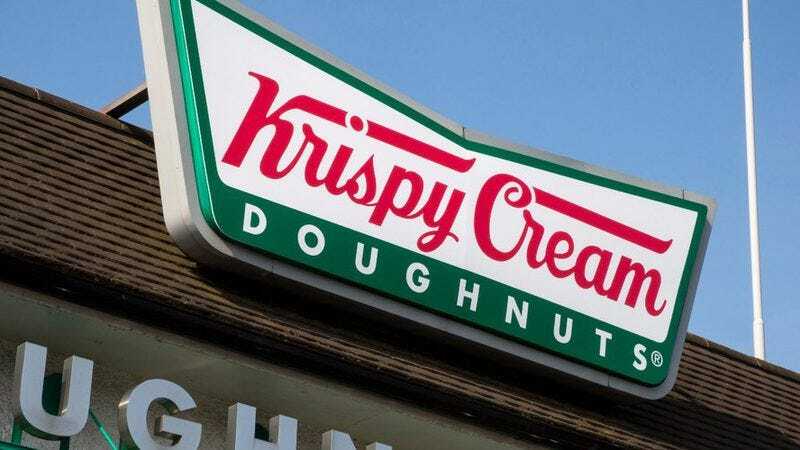 Krispy Kreme, purveyor of fluffy glazed doughnuts that are only acceptable in serving sizes of 12, has been spreading the story that it has officially changed its name to Krispy Cream in the United Kingdom. According to the company’s marketing department, the re-brand is an attempt to appeal to U.K. customers who have always struggled to correctly pronounce the eatery’s name. Supposedly, British people pronounce Kreme as “krem” and that was a big enough reason to change a name that’s been around for 80 years. The announcement was accompanied by this incredibly serious and very-not-joking video on social media presented by the company’s CDO (Chief Doughnut Officer… ugh). So, there you go. Another hilarious April Fools’ prank in the bag. The massively low stakes of this stunt will no doubt ensure that it is discussed in break rooms across the world well into the late hours of Monday morning.